Our animal finger tracing pages are a fun way for children to practice their letter formation! Start on the dot and then trace each letter in the direction of the arrow, using your child's forefinger. When your child is confident, you could trace with a pencil. And of course you can colour in the picture, too. To use the worksheets repeatedly, why not laminate and use a dry wipe pen? The letters 'angel fish' are written in big type for young children to follow with their finger before colouring in the picture. Here is a finger tracing worksheet featuring the mighty ant! Learn how to form the letters of the word "baboon" by finger tracing, or laminate and use a dry wipe pen. Fun for little kids! Here's the first of three badger worksheets, for your youngest children. Trace over the letters of the word with a forefinger, starting on the dots and going in the direction of the arrows. This adorable bear is bound to encourage younger children to practise their letter formation. They simply need to trace over the letters in the word, then colour in the picture. Here is our starter handwriting worksheet featuring a fun beetle picture for the kids to colour in when they have traced the letters. This cute bunny is just waiting to be coloured in - and the bonus is that the kids can trace the letters underneath, first with finger, then with pencil. It's not normally a good idea to put fingers near a crocodile, but the kids can safely practise their letters with our fun crocodile finger tracing printable worksheet! Colour in the picture of the dog, and learn to write the word by tracing first with the finger, then with a pencil. Laminate and use a dry-wipe pen if you prefer. Children can practise forming the letters in the word DOLPHIN using our finger tracing worksheet. When they are more confident, perhaps they can colour in the picture and then trace over the letters with a pencil. Our donkey finger tracing is a fun way to get children practising early writing skills. You could also use it for phonics practise, using letter magnets to place over the printed letters, sounding out the word as you go. Young children can trace out the word 'fish' with their finger and then colour in the four fish. A fun way to practise early pencil skills. Here's a nice simple CVC word for beginners to trace with their finger and then a pen, with a fun fox colouring page too. Practise your letters with our fun frog finger tracing printable worksheet! Start on the dots and trace each letter with a forefinger, then with a pencil. Learn how to form the letters of the word goat by finger tracing, or laminate and use a dry wipe pen. Fun for little kids! Children can learn to write the word goldfish, first by tracing the letters with their finger, and then with a pencil. And of course they can colour in the picture, too. Finger tracing is a good introduction to writing, and this cute groundhog page is a great way to practise! Learn how to form the letters of "guinea pig" by finger tracing, or laminate and use a dry wipe pen. Fun for little kids! Get some finger tracing practise on this page which has a cute picture of a hamster. Here's our first hedgehog handwriting worksheet, of three. This one provides dots and arrows to make sure children form the letters correctly, and is perfect for finger tracing - or perhaps as a laminated worksheet with dry wipe pen. Children can learn to write the word horse - first by tracing the letters with their fore-finger or pencil. Why not colour the picture then laminate the page so that they can trace the word over and over again using a dry-wipe pen? You could laminate our jellyfish finger tracing page and after tracing the letters with a finger use a dry wipe marker pen to trace between the lines. Younger children can practice their letter formation by tracing over the letters of "kangaroo", encouraged by this lovely kangaroo picture. Perhaps they could colour him in too? Here's a fun worksheet for your youngest children. Colour the koala picture and then trace the letters of KOALA with your finger to get the letter formation correct. You can also laminate the page and trace the letters with a dry wipe marker. Have fun tracing the letters to spell out 'lobster' and then get out the crayons and colour the picture on our lobster finger tracing page. 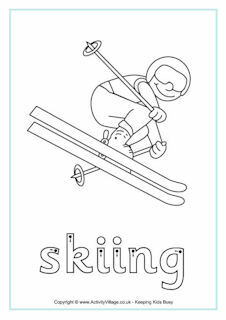 Fun for early learners - a simple mole finger tracing sheet and colouring page to print. Our octopus finger tracing page would also make a great playdough mat. Print and laminate and use playdoudh to shape the letters and make the octopus some tentacles. This ox worksheet has a nice easy word for children to trace with their finger or a pencil. This cute panda is bound to encourage the kids to practise their letters! When they have traced the letters they can enjoy colouring the panda. Do the kids like pigs? Or are you studying farm animals, or the Chinese zodiac? If so, as a simple CVC phonetic word, this finger tracing worksheet is perfect for you! Here's a fun way to practise letter skills! Finger trace the letters in the word "platypus" first, then perhaps have a go with a crayon too? This cute rabbit finger tracing worksheet will be very popular with young children, and its a super activity for early learners at Easter or Chinese New Year. Use this rat finger tracing worksheet to familiarise young children with the way letters are formed. The rat is a Chinese zodiac animal so this would be a great activity for Chinese new year. Get some handwriting practice in with this fun reindeer finger tracing worksheet. And of course we've provided a lovely picture to colour in as incentive! Did your children enjoy seeing sea lion's at the zoo? Why not get them to practice their early literacy skills by tracing the letters on out sea lion finger tracing page. Finger tracing is a great way for children to get the feel of letter shapes as they begin to start writing. After tracing the letters with a finger on our seahorese finger tracing worksheet they could try using a pencil and staying between the lines. Here's a fun way to teach your children their letters! Trace of the word "shark" with a finger first, then a pen, starting at the dots and following the arrows. Younger children learning their letters will enjoy colouring in this lovely snake then tracing over the letters with their finger or a pencil. Laminate for repeated use if you wish. Very young children can use their finger for tracing on this tiger themed worksheet. Follow the direction of the arrows to get the correct letter formation. Here's a slightly tricky word for the children to learn and practise - can they trace the letters in "tortoise" with their finger? I think this turtle looks rather glum! Perhaps you could cheer him up by colouring him in nice and brightly and laminate so you can use to trace the letters with your finger many times. Little children who are starting to learn about letters and writing will enjoy this finger tracing activity featuring a wolf. Younger children can practise their letters with the help of our lovely wombat! You could laminate this worksheet to use with a dry wipe pen in the classroom.